Statistics show that, only a small percentage of us are working hard to retire earlier than the norm. At the same time, most people wish to work past their retirement age due to financial constraints. A huge chunk of those who have no desire to retire are forced to retire early for one reason or another, anyway. It seems, whether we like it or not we have to make our choice. Its either we put our finances in order soonest, or play the gambling game with the wish that we will be able to secure the cubicle space through our 70s. OUCH!!! I was once young and ignorant too. I was happy to live in the NOW, with no worries about tomorrow. I can only thank God for waking up to the harsh realities of life in my 20s. A reality that I might be out of a job sooner than I expect, I might lose my income, I might have to prioritise my children over a 9 to 5 job, I might want to travel during my prime years, and the list goes on. This is why I work towards early retirement and think you should too. Your retirement may come sooner than planned for reasons listed below. Some people see themselves out of the workplace due to an illness or a disability. You probably have a disability insurance and health insurance. This may not be enough for you and your family to live on. I would rather have that topped up with a good retirement fund and passive income that covers all my current expenses. An emergency fund is not optional, its a necessity. I keep mine at a full year of expenses. It could stretch over two years of a frugal lifestyle. Whats even neater is that it gives me some interest at the same time. Most people outsource parts of parenting, that’s perfectly fine. But if, like me in my previous job, the time you have with your kids is only to say, “wake up, go bath quickly, you’ll have your breakfast in the car...” Then have a brief conversation in the car on the way back from school and work only to get home to prepare dinner and eat just before bed. No time for any other activity. This used to be my truth, and a current truth for most of my friends. We have to provide for our kids. The cost of living is very high, I get that. In most households, both parents have to work. But that doesn’t mean we shouldn’t be making provision for early retirement. The worst case would be when you have to retire to parent a sick family member or child. We don’t want to think about that but it happens to people around us. A spouse, child or parent may need you on an almost full time basis, even if it’s just for a few years. Are you having any provision for a similar unfortunate case? These were such common terms at the peak of recession. Companies were struggling to keep all their employees on pay roll. Most people were laid off, out of their will. It was a painful situation for those without any other source of income. Others welcomed the time off because they were financially ready for such emergencies. Its time you make sure you fall in the latter group. Your employer could be going through financial problems that you are not aware of. We now know that job security doesn’t really exist. Are you ready for a sudden shut down of your company? Let’s now explore a better scenario. You manage to stick it through to your 60s, only to realise that your pension payout is not as promised. We live in times of uncertainty. Employers are not always able to fulfill their pension payout promises. It’s happening to a lot of retirees. We should all wake up to the reality that we may be jobless sooner than planned. 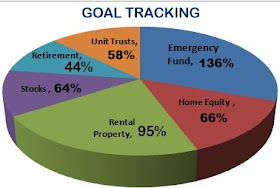 What are your plans for retirement provision?